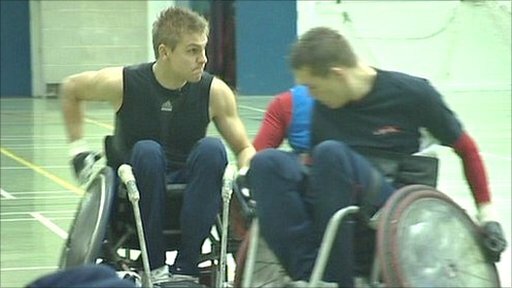 BBC South East's Keir MacKenzie meets two Kent athletes preparing for the 2012 London Paralympic Games. Wheelchair rugby player Steve Brown and sitting volleyball player Claire Harvey are two athletes at the top of their game and striving for glory, but up until a few years ago, neither was disabled. Sport gave both of them something to focus on and helped them rebuild their lives. In August 2012 Steve and Claire hope they will be representing Great Britain in the Paralympic Games.